Satellite image of the volcano as it is today. 200 years (and 17 days) ago, the Earth was visited by a terrifying slice of prehistoric oblivion. Mount Tambora sits on Sumbawa Island, a member of the Sunda Islands in Indonesia. Indonesia is a string of volcanic islands that lie along the southwestern edge of the Pacific Ring of Fire. It is home to 141 volcanoes, including the legendary Krakatau (better known as Krakatoa), and the supervolcano Toba that reportedly nearly drove humanity to extinction 74,000 years ago. Tambora made Mt. St. Helens look like a mouse fart. St. Helens spat out roughly 0.3 cubic miles of ash. Tambora released 38 cubic miles of ash. That’s enough to bury the entire state of New York, all 54,555 square miles of it, in 3.7 feet of ash. Its initial explosion was like an 800 megaton nuclear bomb. That’s 61,500 times more powerful than Hiroshima. Think about that for a second. The Hiroshima bomb made a major city disappear, seared people’s shadows into concrete and fused clothes to people’s skin. The Tambora eruption was 61,500 times more powerful than that. 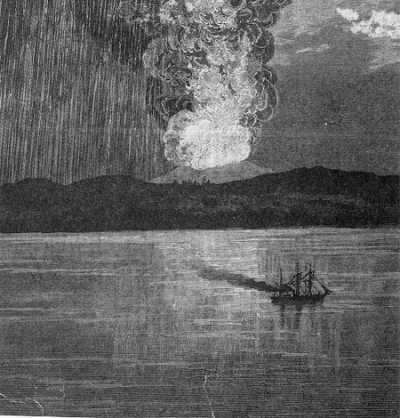 A contemporary etching of the eruption. Before 1815, Tambora hadn’t erupted in a thousand years. Many scientists believed it was extinct. Volcanism in Indonesia in general had been remarkably quiet for over a century. The country hadn’t had a major eruption since a relatively modest VEI 4 eruption (on a 0-8 scale, St. Helens was a 5, Tambora a 7) reportedly killed 3,000 people on the island of Halmahera and nearby islands in 1760. No eruption more powerful than that had happened there since the 1600’s. People simply stopped thinking about it. Beginning in 1812, however, things began to change. Residents heard rumbling coming from the mountain and periodic earthquakes occurred. Occasionally, a dark cloud wafted up from the mountain’s summit. For a while, nothing happened, but as the months passed, the earthquakes grew more frequent. Then, three years after the volcano awakened from its slumber, the unthinkable happened. On April 5, 1815, Tambora exploded. Massive booms reverberated for hundreds of miles. People on Sumatra, 1600 miles away, heard what sounded like gunshots. British troops on nearby Java, which had been temporarily seized by the British to prevent it from falling to Napoleon after Indonesia’s colonizers, the Dutch, lost their homeland to the French, were mobilized because it was initially thought they were being attacked by naval cannon. Five days later, on the evening of April 10, the eruption intensified. Witnesses reported seeing three columns of ash and flame swell and merge together, towering high into the sky. Lava began to pour down the mountainside toward the villages below. Ash and pumice rained down and began to bury the landscape. Thick clouds of ash covered the sky as far away as Jakarta, nearly 800 miles away. People in Jakarta (then called Batavia) reported smelling a “nitrous” odor as a dark, ash-filled rain began to fall. The pyroclastic flow from the Mt. 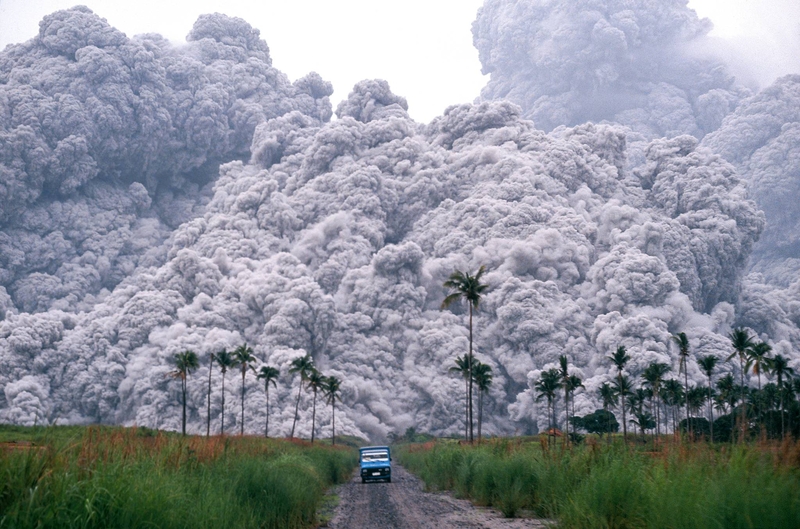 Pinatubo eruption in 1991. The Tambora eruption was 14.5 times more powerful. Back on Sumbawa the situation was dire. Huge clouds of intensely hot rock, ash, and gas called pyroclastic flows surged down the mountain at very high speed, annihilating everything in their path, spreading out up to 12 miles from the summit. Pyroclastic flows are one of the volcano’s greatest killers. Much like a nuclear blast, exceptionally few of those caught in one live to tell about it. It was the pyroclastic flow that wiped out the people of Pompeii, many of them killed where they stood, frozen in horrifying repose before being entombed in ash for 1800 years before being excavated. Roughly 10,000 people met the same fate on Sumbawa. 38,000 more starved as all the island’s crops were wiped out. The entire island was stripped of vegetation. Everywhere within up to 370 miles of the summit was plunged into pitch darkness for up to two days. A British military officer sent to the island by the Lieutenant-Governor of Java reported that bodies were strewn neglected by the sides of the roads. Virtually every survivor had been left homeless and they scrounged desperately for food. Water sources were contaminated by toxic ash and diarrhea was rampant, drastically increasing the death rate. It wasn’t much better on neighboring islands, as ashfall wiped out crops and created widespread famine. In those days, information traveled slowly, and with all the world’s major powers just coming out of major warfare, few resources were available to provide relief. On Sumbawa and surrounding islands, at least 71,000 people are believed to have died, making it the deadliest volcanic eruption in recorded history. 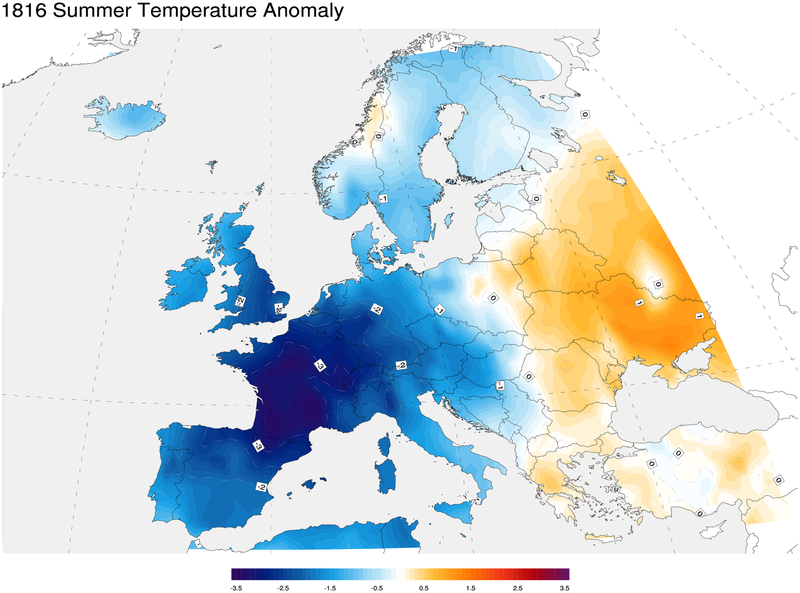 Temperature anomalies for the summer of 1816 in Europe. The volcano’s effects were felt worldwide. The dust and ash from Tambora soared high into the atmosphere and was carried around the world by the jetstream, plunging the planet into a volcanic winter. Skies over England filled with dust and spectacular sunsets were reported across Europe and North America. Portions of central Europe experienced brown and red snow, tinged by the ash high in the atmosphere. August frosts were reported. Switzerland was particularly hard hit. Over the succeeding two years, the country’s average mortality rate doubled. It was so cold that an ice dam formed at the edge of Gietro Glacier, which then catastrophically collapsed in 1818, killing 44 people. Unusually heavy rains caused floods on Europe’s major rivers. The eerie color of the sunset in this painting of the Chichester Canal in England by J.M.W Turner is believed to have been inspired by the atmospheric phenomena occurring across Europe and North America during the summer of 1816. A persistent fog or mist shut out the sun across the United States and Canada. In 1816, throughout much of the northern hemisphere, summer never came. Portions of upstate New York reported sub-freezing temperatures throughout May. It snowed as far south as Pennsylvania in early June. Quebec City, Canada and the higher elevations of Vermont and New Hampshire received a foot of snow between June 6 and June 8. Lake and river ice was reported as far south as northwestern Pennsylvania throughout the summer. Frosts were reported as far south as Virginia on August 20/21. The Berkshire Hills of Massachusetts and Connecticut reported frost on August 23. Some areas recorded major frosts every month of the year. All of that from something that happened on the other side of the world. However, normal or even above normal summertime temperatures were reported at times, with the cold extremes happening at the end of wild temperature swings. Curiously, the Atlantic hurricane seasons of 1815 and 1816 appear to have been quite active, despite the record-cold summers (indeed, a hurricane struck the Florida Keys in early June, 1816 as snow was falling in New England). The 1817 season was much less active but it’s not clear if the aftereffects of the eruption had anything to do with that. 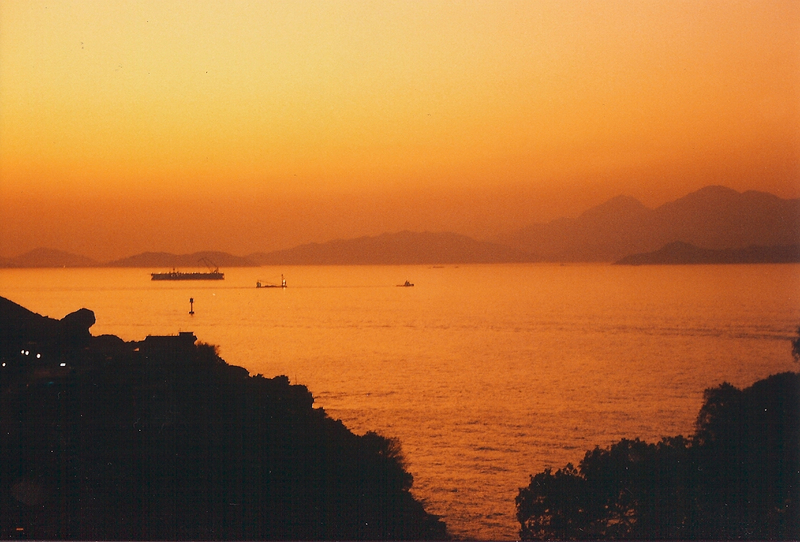 Sunset in Hong Kong nine months after the Pinatubo eruption in the Philippines, giving us a glimpse at how the skies over Europe and North America may have looked after the Tambora eruption. Note the low, dense veil of dust hanging over the water like smog. Outside the Western Hemisphere, snow also fell on tropical Taiwan. Wintry precipitation was also reported in eastern China at latitudes comparable with the southeastern United States…in summer! Crops across China were wiped out. A severe monsoon season led to widespread devastating floods in China and India. Even when the winter finally abated, the weather remained miserable. Much of the northern hemisphere was mired by chilly weather and persistent rain and cloudiness. The weather inspired a group of young authors and friends, Mary Godwin, John William Polidori, and Lord Byron, to challenge each other to see who could write the scariest story. Godwin, together with her future husband Percy Shelley, wrote Frankenstein, and Byron wrote a piece called A Fragment. Byron’s work inspired Polidori to write The Vampyre a few years later, which in turn inspired Bram Stoker’s Dracula as well as Alexandre Dumas’ The Count of Monte Cristo and is considered one of the founding works of the vampire genre and a hallmark of Gothic literature. Byron also wrote the poem Darkness about the persistent gloom. Oats to feed horses were so scarce that a German inventor, Karl Drais, came up with human-powered wheeled machines that were the precursors to the modern bicycle so that people could get around without horses. 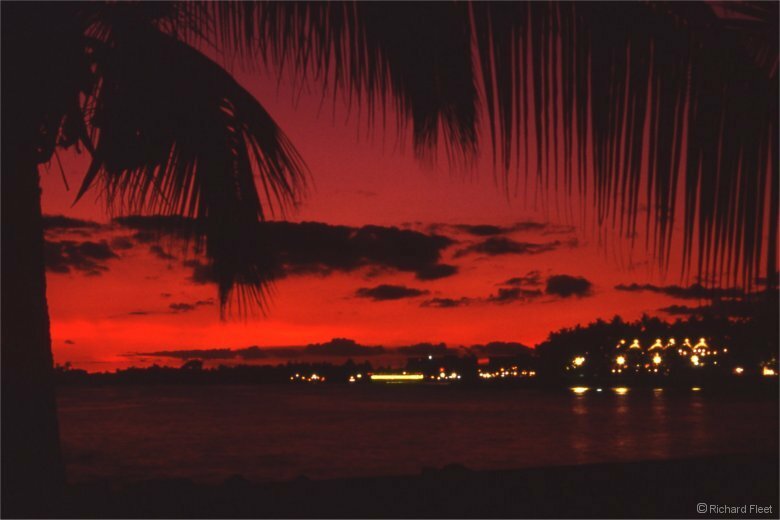 Another Pinatubo sunset, this one was taken in Hawaii in the summer of 1991. Long after the sun had gone, the sky turned an intense red that lingered long after the usual twilight. This exact same phenomena was reported in Europe and the US after Tambora. Widespread crop failures brought on by the bitter cold of 1816 and 1817 had devastating effects on Europe and North America. Europe saw its worst famine of the 19th Century. Riots and looting were common as food prices soared. In the US, the famine was exacerbated by poor transportation networks (the Transcontinental Railroad was still nearly 40 years away), making it hard to import food. A typhus outbreak ravaged Ireland, killing 100,000 people. At least another 100,000 are believed to have died in Europe from the extreme conditions. In China, thousands starved. The exact death toll will likely never be known. Gillen D’Arcy Wood’s book Tambora: The Eruption that Changed the World paints a very dramatic picture of the dire conditions in some parts of China. “Famished corpses lay unmourned on the roads; mothers sold their children or killed them out of mercy; and human skeletons wandered the fields, feeding on white clay.” Local poets spoke of barren fields; never-ending rains; and desperate, starving people. Modern researchers have questioned whether Tambora was the sole culprit of the upheavals of 1816 and 1817. Four VEI 4 eruptions had happened worldwide in the preceding three years and the Tambora eruption occurred during a period of low sunspot activity called the Dalton Minimum. All of these probably contributed to the severity of the climate impacts caused by the Tambora eruption. Today, Tambora is quiet. The volcano hasn’t had an explosive eruption since 1880 but remains active. 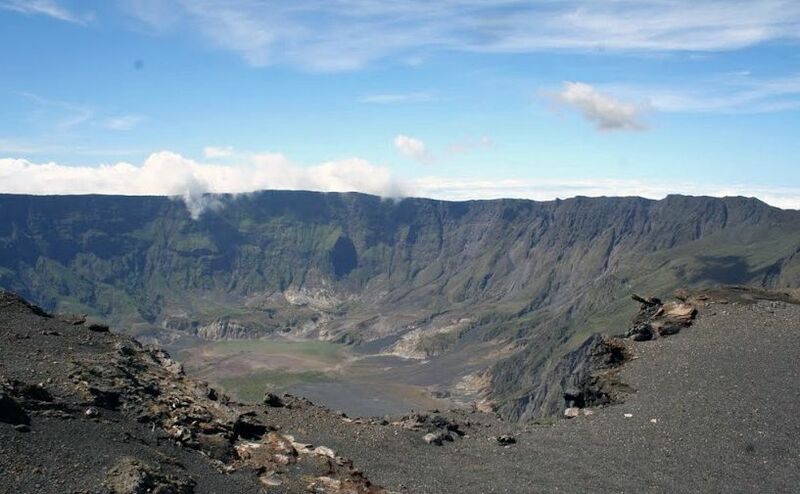 The area’s population has dramatically increased, and Tambora’s terrifying history earns it considerable attention from scientists. In recent years, periodic seismic activity around the mountain has been reported, just more reminders of the threat the volcano still poses. 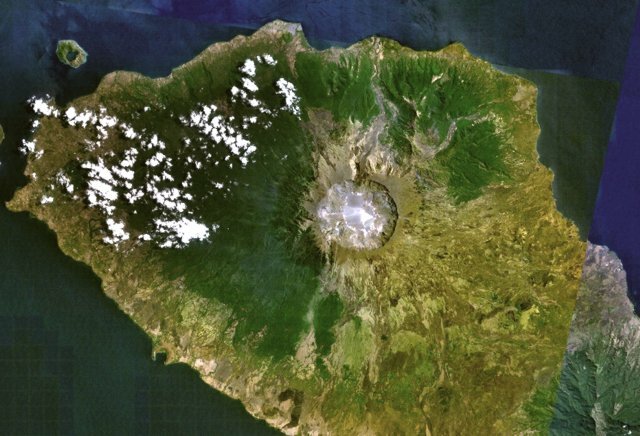 The Tambora caldera as it looks today. The caldera was formed by the massive 1815 eruption. Volcanic cataclysm of this magnitude is typically only found in ancient rocks and sediments of long-quiet craters, evidence of a hostile Earth whose ravages were wrought long before humans ever walked upon it. Today, we fear more the havoc we might wreak upon the Earth than the havoc it might wreak upon us. The pursuit of softer footprints and more conscientious stewardship is a noble one, but we should never forget how powerful this great planet is. It can uproot our peaceful existence and throw our society into turmoil at a moment’s notice. Events like Tambora, if nothing else, should remind us to appreciate today, because tomorrow isn’t guaranteed. Every year brings new fascinating and wild weather events. 2014 was no different. As the year comes to a close, it’s worth looking back on all that happened. January was marked by frigid temperatures east of the Rockies. 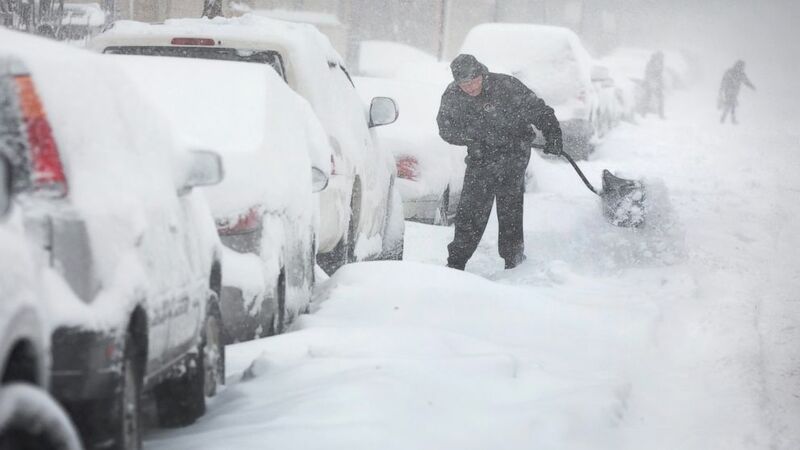 The Northeast and Great Lakes were hammered by snow. Seven inches fell on Boston on January 3 and the temperature dipped to 2F, with a wind chill of -20F. Portions of Massachusetts got nearly two feet of snow. Nearly a foot of snow fell on Detroit as temperatures fell to near 0F. On January 7th, New York City dropped to 4F, breaking a record that had stood for 116 years. That same day, Chicago dipped to -12F, part of four straight days of sub-zero temperatures that included -16F on January 6. Both readings were daily records. Philadelphia also dropped to 4F on January 7th, breaking a 26 year old record. The Schuylkill River, while not frozen over, was thick with ice. Lighter snow fell in central Tennessee as temperatures dipped to 9F on January 6 and 2F the following night. Midtown Atlanta dropped to 5F on January 7. 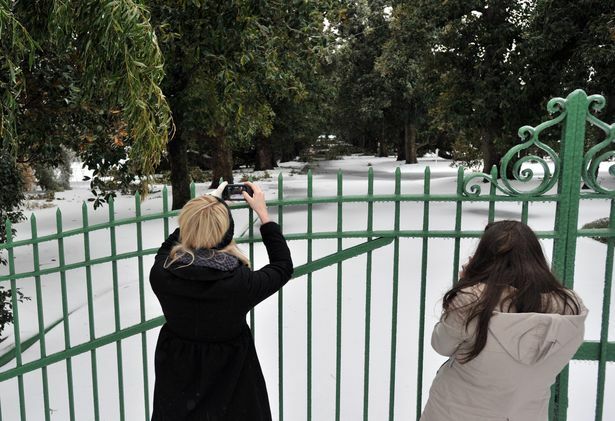 Beginning January 28, a major winter storm struck the southeast. Heavy sleet and ice accumulations occurred in Louisiana, central and southern Alabama, and central Georgia. Bridges across the Gulf Coast region were closed due to icing and sleet accumulations were observed all the way to the shoreline. Ice accumulations were as high as 0.5 inches in those regions. Overshadowing the ice event to the south, however, was the significant snow event that struck north-central Alabama and Georgia, including the metro areas of Atlanta and Birmingham. Initially, the storm was expected to remain to the south of those cities, with only light accumulations expected. As such, resources were shifted to the south as regions that were expected to be the hardest hit had very little snow and ice removal equipment. However, the storm made a late shift to the north. During the overnight hours on January 27-28, predictions went from around one inch to around three inches and winter storm warnings were expanded to include the entire Atlanta metro area at 3:38 am. Warnings were not issued in Birmingham until almost the start of morning rush hour. However, despite the dramatic change in the forecast, Atlanta area public school systems did not close and Government offices opened as scheduled. In the end, roads were never properly treated and as the snow began to fall at around 10am, tens of thousands of people poured out onto them all at once trying to get home. This created epic gridlock that trapped people in traffic for hours. Thousands had to spend the night in their cars. Others abandoned their cars and tried to walk home or sought shelter in nearby buildings. Children slept in buses or at schools. Good Samaritans took stranded motorists into their homes and local businesses generously offered shelter. A Chick-fil-A restaurant took free hot meals out to the adjacent interstate and offered it to those stranded. The traffic didn’t clear up until after sunrise the following morning. 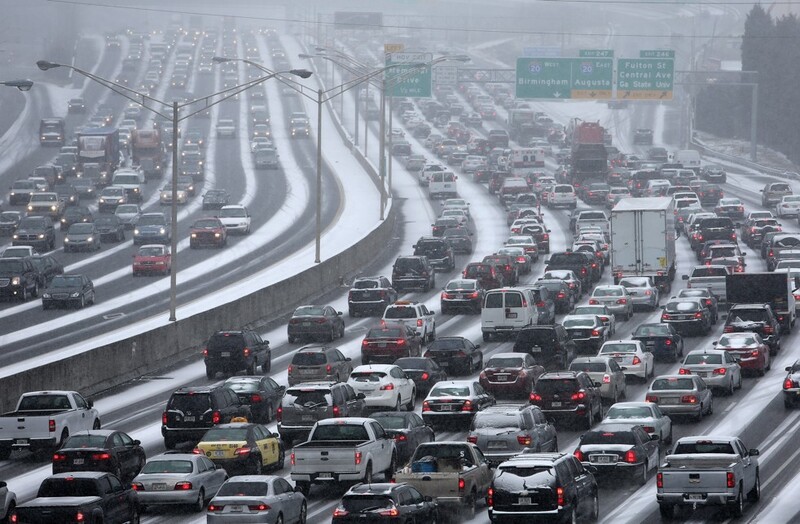 The exact same scenario played out in Birmingham as thousands were stranded on gridlocked, icy interstates. The crisis led to widespread criticism of leadership in both cities, who were caught completely unprepared by the relatively sudden change in the forecast, as well as NWS forecasters, and led to calls for sweeping changes in emergency response plans with respect to winter weather. Accumulating snow was seen as far south as Monterrey, Mexico. Chicago saw its third snowiest January on record, with 33.7” and Mauna Kea, Hawaii saw a record snow event in late January with 12”. While the east remained bitterly cold, the west saw above-average warmth as persistent ridging remained in place. 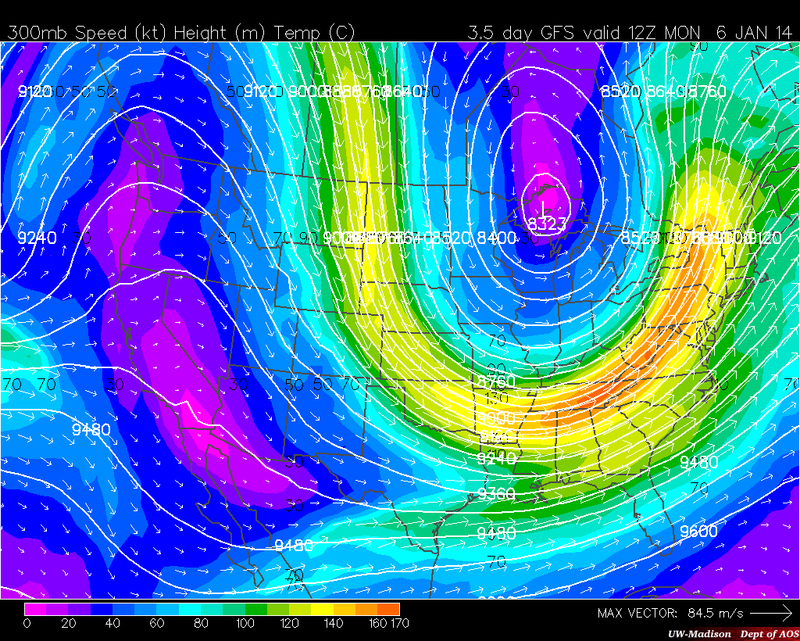 This ridging is what caused the steady stream of arctic air into the eastern US. The cold temperatures continued into February. Numerous cities had their coldest February in decades, particularly in the upper Midwest. As the month began, 75% of the Great Lakes were frozen over, the lakes’ most substantial ice coverage at that point in the season in 18 years. Famous Magnolia Lane at Augusta National Golf Club in Augusta, Georgia covered in snow, sleet, and ice. The club lost numerous trees, including the famous Eisenhower Tree. 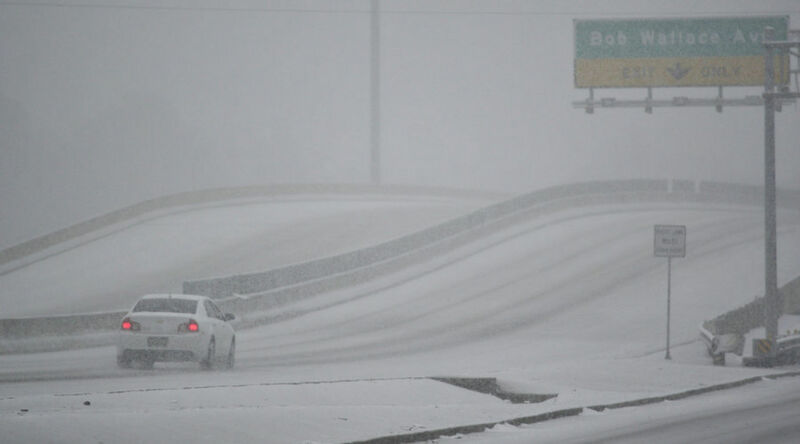 Another major snow and ice event struck the south in the middle part of the month. Up to a foot of snow fell in parts of the Smokey Mountains and 8” fell in the Chattanooga area, while up to 5” fell in north Georgia. Meanwhile, a major ice storm struck a huge swath of central Georgia and South Carolina. 1.34 inches of ice accumulated at Warrenton, Georgia and neighboring sections of South Carolina saw nearly 1.5 inches of ice. This caused widespread power outages and scattered property damage from falling tree limbs. The famous Eisenhower Tree at Augusta National Golf Club, site of the Masters Tournament in Augusta, Georgia, was irreparably damaged and had to be cut down. Fortunately, however, the appalling gridlock of the January event just a couple weeks earlier was not repeated. That same storm brought a major snowstorm to portions of North Carolina. 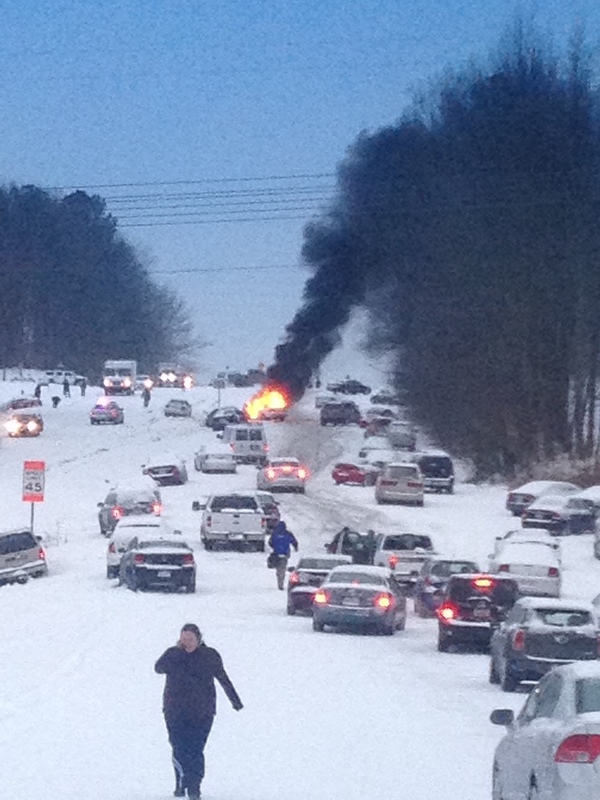 Raleigh saw the same crippling gridlock that Atlanta and Birmingham saw in January. Roughly six inches of snow fell with near-whiteout conditions at times. Eight inches fell at Winston-Salem. The storm continued northward, dropping 15” on Baltimore and parts of DC (with areas of nearby Maryland reporting over 20”). Thirteen inches fell on New York City and 9” fell in Philadelphia, marking the Philadelphia area’s fourth 6”+ snowstorm of the winter, a new record. Just a few days later, however, a moderate tornado outbreak struck portions of the Midwest and South. 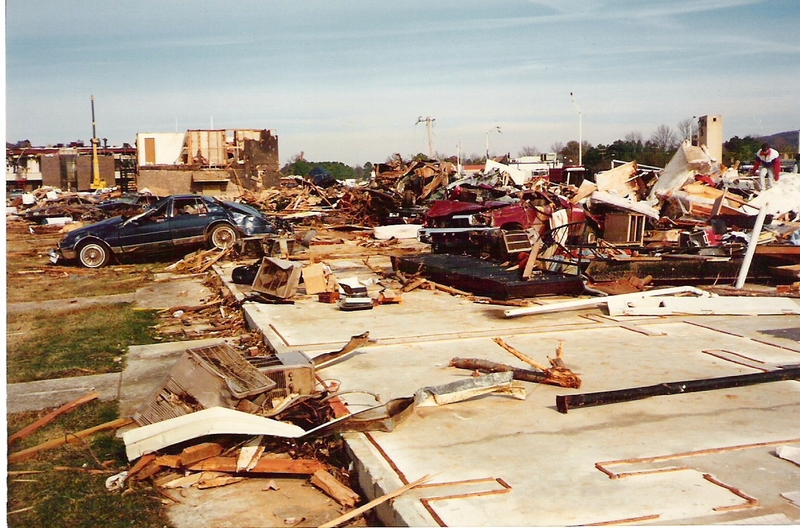 Particularly notable tornadoes struck near Fort Payne, Alabama and the north side of Dublin, Georgia. In all, the two day outbreak produced 46 tornadoes in 14 states. Bitter cold again struck late in the month and continued into the first week of March. Flint, Grand Rapids, and Gaylord, Michigan; Green Bay, Wisconsin; and Toledo, Ohio all set daily record lows on February 28. Newberry, Michigan fell to a bonechilling -41F. Relief from the cold was slow to come in March as temperatures remained below average for much of the lower 48. DC, and many areas of the northeast, including the entire state of Vermont, saw their coldest March on record. Flint, Michigan (-16F) and Rockford, Illinois (-11F) set monthly record lows on March 3. The winter of 2013-2014 was historic in many ways. Chicago saw its coldest calendar winter on record. Between December 1 and March 31, the average temperature in the city was 22F, 10 degrees below average. Numerous other locations had among their top five coldest winters. Two thirds of the Great Lakes remained frozen over through the first week of April, a very rare occurrence, significantly impacting maritime commerce. By April 10, the high pressure ridge that had been parked over the Rockies finally shifted east, and the eastern two thirds of the lower 48 at last began to thaw. While everybody east of the Rockies were shivering and buried under snow and ice, the west saw unusually warm and dry conditions. California had its warmest and third driest winter on record, and temperatures in Alaska were well above average. The warm, dry conditions adversely affected many western ski resorts. The Pacific Northwest, however, received significant snowfall courtesy of the numerous storms that poured in over the persistent ridge. Tornado season got a late start courtesy of the bitterly cold winter. Just 27 tornadoes formed prior to April 25 outside of the February 20 outbreak, most of them weak. 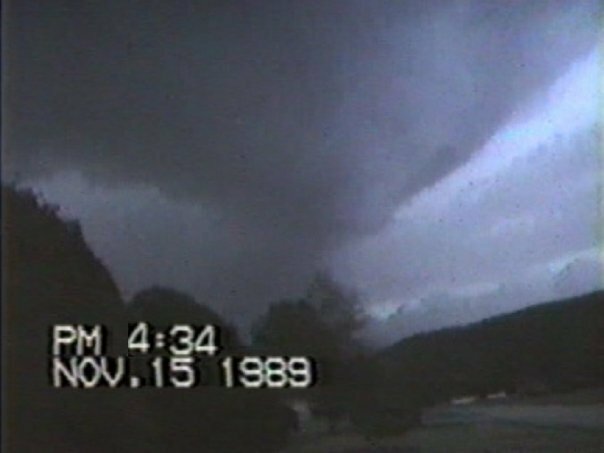 When an EF3 struck rural areas near Washington, North Carolina on April 25, it marked the latest first formation of an EF3 or greater tornado on record. 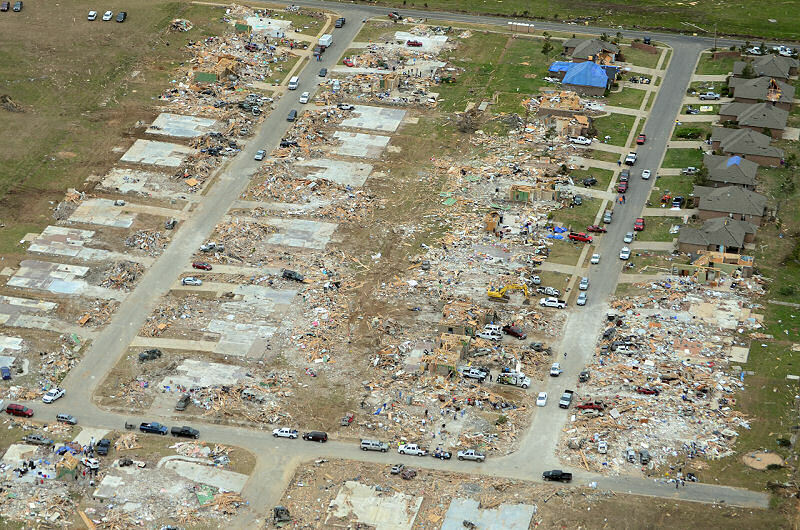 Devastating damage to the Parkwood Meadows subdivision in Vilonia. Two days later, the first significant outbreak of the season occurred. 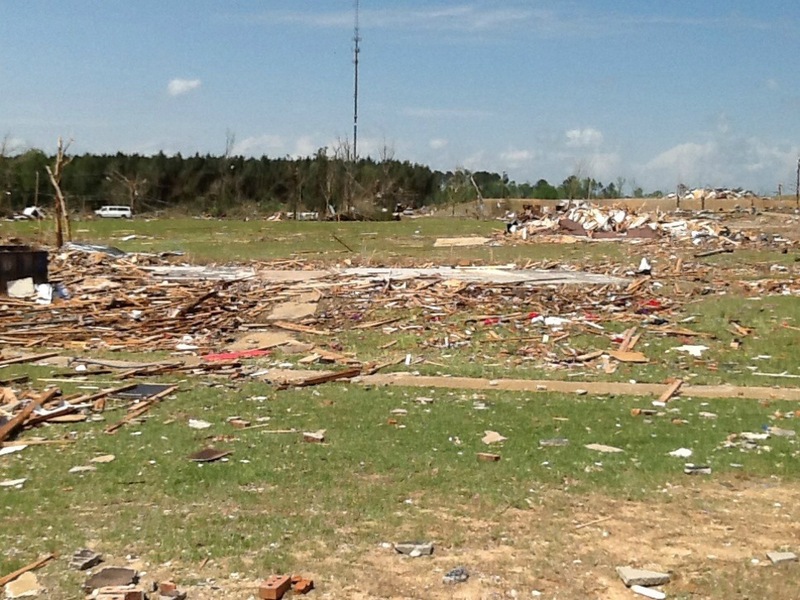 A powerful EF4 tornado devastated the town of Vilonia, Arkansas. It touched down six miles east of Paron and moved north-northeast, first causing major damage to subdivisions just south of Mayflower before ripping through Vilonia. 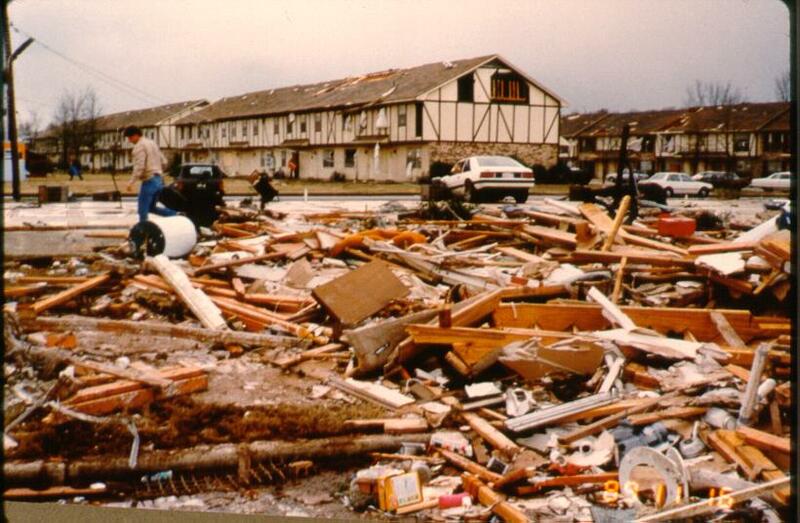 The Parkwood Meadows subdivision was particularly hard hit, with nine poorly anchored homes completely wiped out. Numerous large commercial buildings were leveled. A 15-ton fertilizer tank was carried three quarters of a mile and one properly anchored home was completely swept away. These extreme shows of force are indicative of a tornado very near EF5 intensity, which this tornado likely flirted with and may have briefly reached. Sixteen people died. It was the state’s deadliest tornado since the Jonesboro F4 of May 15, 1968. An obliterated home in Louisville. Another EF4 struck Louisville, Mississippi. It formed in rural Leake County and moved northeast, passing northwest of Noxapater before curving more to the north-northeast, striking the southeast side of Louisville, causing devastating damage. Three large factories were destroyed and adjacent neighborhoods were ripped apart. Numerous homes were destroyed and a few were swept away. A door from Louisville was carried some thirty miles and dropped on the campus of Mississippi State University. Ten people were killed. The storm also brought historic flooding along the central Gulf Coast. Some areas received as much as 26 inches of rainfall. Pensacola, Florida got 22” in just a single 24 hour period, including an astonishing 5.68” in an hour at one point. Widespread flash flooding occurred, including in the cities of Pensacola, Mobile, and Gulf Shores. $100 million in damage occurred in Pensacola alone. Flooding also occurred in the mid-Atlantic states as up to 7.57” of rain fell. The entire Delaware River watershed saw flooding to some extent. In some areas, it was the worst flooding event since Hurricane Irene. May was largely quiet. The San Diego area was hit by numerous wildfires, some of which were man-made. One person was killed. June saw the return of severe weather. On June 16, a major outbreak struck the northern Great Plains and the upper Midwest. A single supercell produced an astonishing four EF4 tornadoes. 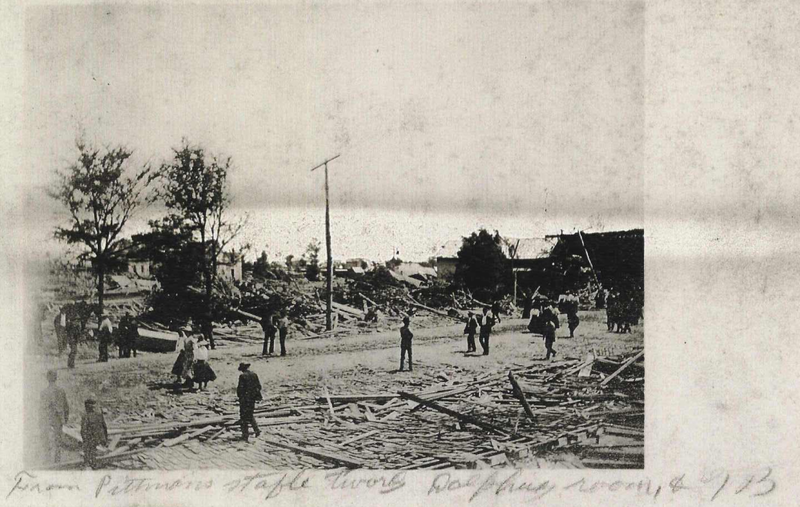 The first formed southwest of Stanton and moved north-northeast, passing west of that town as an EF3. The tornado intensified as it crossed US-275 just west of Oak Street, wiping out two farmhouses and throwing two vehicles over a quarter of a mile. 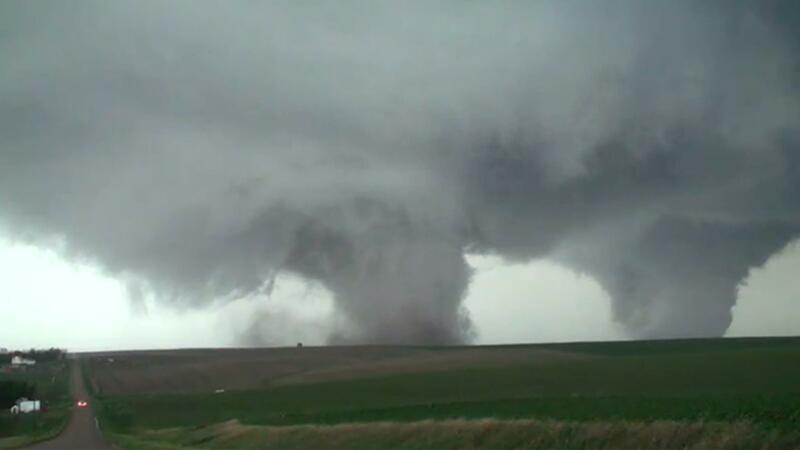 Incredible shot of the Pilger twin tornadoes taken by a storm chaser. Shortly after that tornado lifted, another formed over rural areas east of Stanton and moved northeast. As it intensified, a third tornado formed alongside it about two miles to the east. The second tornado ripped through the town of Pilger as an EF4, causing widespread major damage, as its twin tore through neighboring farmland. Many homes and businesses in Pilger were destroyed, including some brick buildings, and some were swept away. After the second tornado passed Pilger, the two began to converge, eventually crossing paths as the third tornado also reached EF4 strength and turned to the north. The third tornado wiped out a farmhouse before lifting. As it weakened, yet another tornado formed. This one moved just east of due north and caused major damage to farms south and east of Wakefield. Several farmhouses were wiped out in the vicinity of 854th Road just east of Nebraska 16. Fortunately, just two people were killed by the four tornadoes combined. Two days later, another EF4 struck rural areas of eastern South Dakota, wiping out a farm south of Alpena and throwing heavy machinery great distances. A corn field was stripped to bare soil. The 2014 hurricane season was fairly quiet. However it had a somewhat exhilarating beginning. Hurricane Arthur developed from a non-tropical low on July 1 off the east coast of Florida and moved northward and then northeastward toward the coast of the Carolinas. By July 3, it was a Category 2 hurricane bearing down on the Outer Banks. With the Fourth of July weekend approaching, thousands of tourists had flooded local beaches. With Arthur bearing down, many of them fled and local holiday celebrations were cancelled or postponed all along the East Coast. More isolated barrier islands were ordered evacuated as ferry service would be cut off. 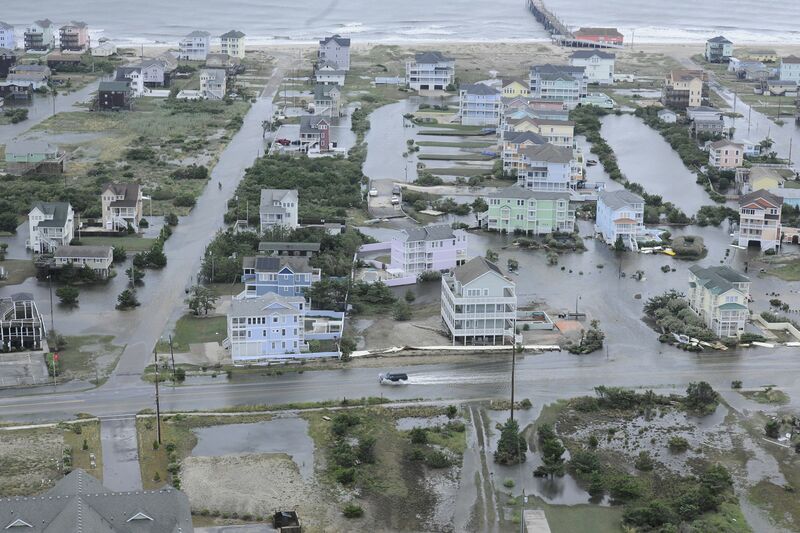 Coastal flooding in Rodanthe, North Carolina on Hatteras Island, one of the communities hardest hit by Arthur. Arthur made landfall at Cape Lookout with 100 mph sustained winds, the worst of which remained offshore. A 77 mph sustained wind and a 101 mph gust was recorded near the point of landfall. Widespread flooding struck the North Carolina coast up to six feet deep in places, flooding some homes and businesses. 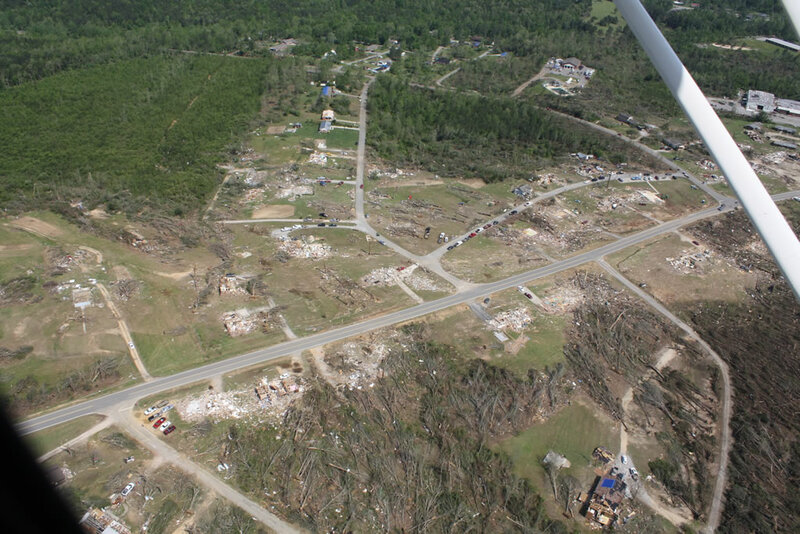 Severe impacts, however, were avoided and no homes were declared a total loss. Roughly 44,000 customers lost power, which remained out in some areas for days. Portions of coastal New England were also affected as Arthur passed just offshore. Nantucket was hit with tropical storm force winds and some minor coastal flooding. Widespread power outages were reported in Maine, with only scattered outages in Massachusetts. Arthur became extratropical shortly before striking Nova Scotia. Hurricane-force winds caused widespread major damage to power grids and utilities, with over 290,000 left in the dark. Damage came to a relatively minor $52.5 million and just one person was killed. Several motorists were stranded by major flooding in the Detroit area. Portions of I-75 were shut down due to floodwaters up to five feet deep. While the Atlantic hurricane season was quiet, the Eastern Pacific was very active. During the first week of August, Hurricane Iselle, once a Category 4, took aim at the Hawaiian Islands. Fortunately, Iselle weakened to a 60 mph tropical storm before striking the Big Island on August 7. Gusts as high as 96 mph were reported at higher elevations. The storm brought torrential rains of up to 12 inches in some areas, causing widespread flooding that killed a hiker. Strong winds tore the roofs off of homes left nearly 22,000 people without power. 60% of Hawaii’s papaya crop was destroyed. Damage came to $66 million, making it the third costliest tropical cyclone in state history. As people in Hawaii were cleaning up after Iselle, Michigan was getting hammered by torrential rains. Widespread flooding struck the Detroit area, leaving motorists stranded and roadways impassible. Portions of Interstate 75 were shut down due to floodwaters and numerous homes received at least some flooding. In early September, Hurricane Norbert combined with the remnants of Tropical Storm Dolly in the Atlantic to create a major flood event in the desert Southwest. Norbert passed offshore of Baja California as a Category 3 and Dolly struck the Tampico area. The outflow of Norbert combined with Dolly’s remnants to spread torrential rain northward into the United States. Arizona was the hardest hit. Up to six inches fell in less than a day in areas that are normally exceptionally dry. Phoenix Sky Harbor Airport got 3.3” in just seven hours. 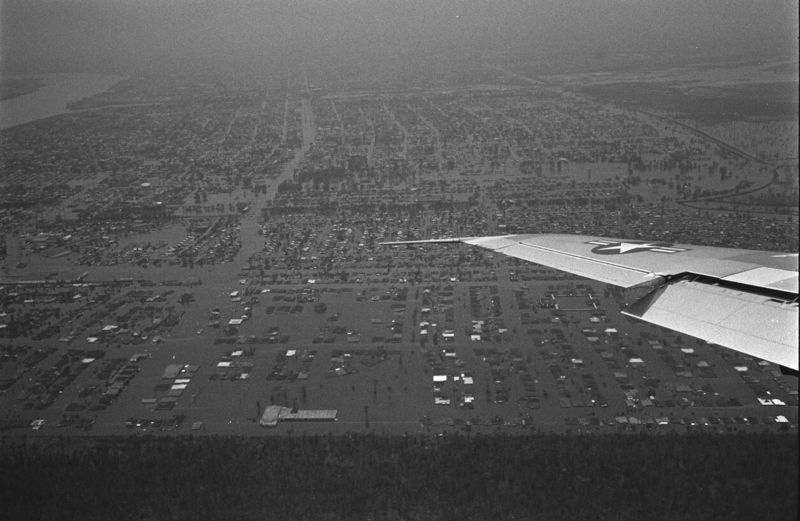 The Phoenix area was inundated, with floodwaters as deep as 15 feet. Phoenix recorded a two hundred year flood event and some suburban areas recorded a thousand year flood event. It was the worst flooding in the state since 1970. 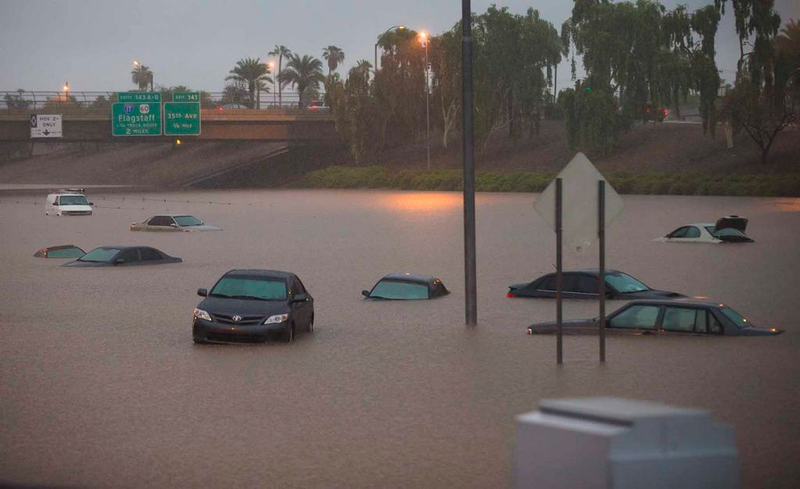 Historic flooding shut down interstates and flooded homes in the Phoenix area. In southern Nevada, parts of Interstate 15 had to be shut down due to flooding and some cars were swept away. Two hundred children were trapped in an elementary school by floodwaters 12 feet deep. Road flooding also struck portions of New Mexico and California. A week later, Hurricane Odile caused widespread major damage in the Baja California of Mexico. Its remnants caused scattered minor flooding in Texas and some minor coastal flooding in San Diego County, California due to wave action. On September 10, a winter storm struck Montana and adjacent states, setting records for earliest snowfall in many spots. Snow in Lexington, South Carolina on November 1. This was a continuation of the southern snow event that began on Halloween night. 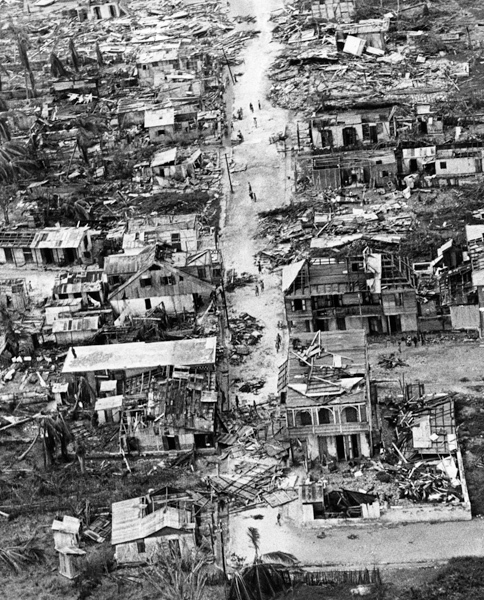 On October 17, Hurricane Gonzalo struck Bermuda as a major hurricane, causing major damage. Minor effects were felt in Puerto Rico and the US Virgin Islands as the hurricane brushed the Leeward Islands on October 13. At around the same time, another hurricane was threatening the Hawaiian Islands. Hurricane Ana passed just south of the islands on October 17 and 18 as a Category 1, bringing torrential rain to the islands of up to 11.67”. A water treatment plant on Sand Island on Oahu overflowed, sending 5,000 gallons of partially-treated wastewater into Pearl Harbor. Late in the month, an early blast of winter struck portions of the southern Appalachians as a massive trough plunged southward. Snow fell in the Smokies and the north Georgia mountains on Halloween night, setting several earliest snowfall and daily/monthly snowfall records. This proved to be just a prelude of events to come. 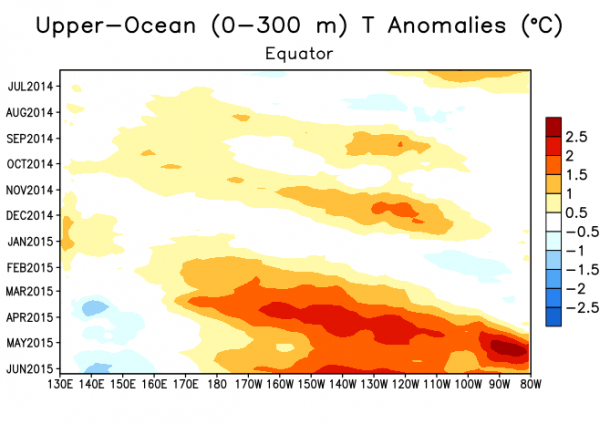 The month of November was highlighted by a series of record-setting cold waves. The first struck early in the month and was a continuation of the Halloween event as unseasonably cold temperatures occurred across portions of the eastern US for the first week of November. This was followed by a historic cold wave just a week later. It was spurred by the extratropical remnant of Typhoon Nuri, which evolved into a powerful non-tropical storm system that caused the jetstream to crash deep into the lower 48, bringing bitterly cold arctic air southward. Record lows were smashed across large swaths of North America. See my previous blog post for more in depth coverage of this event. 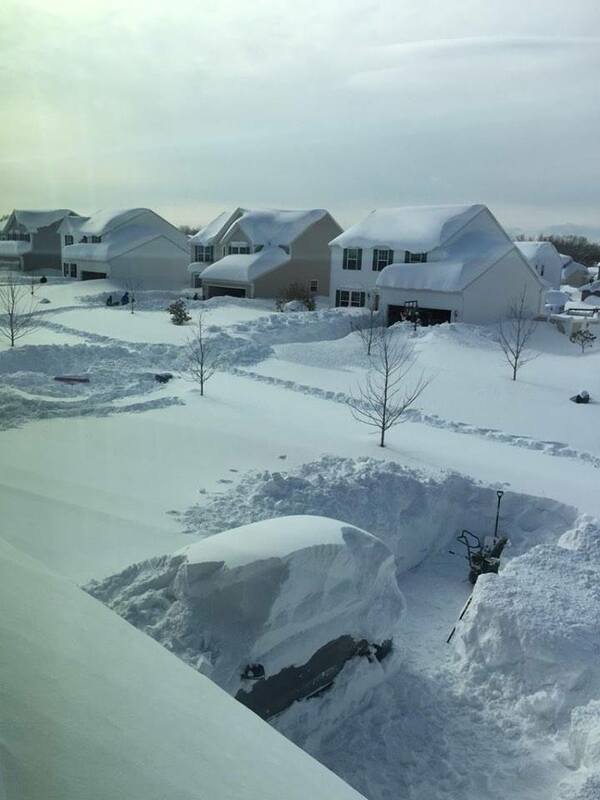 Incredible photo of a neighborhood in western New York buried by feet of lake effect snow. During the latter part of the cold wave, a historic lake-effect snow event slammed the eastern Great Lakes region. Intense, convective snow bands struck regions around Lake Erie and Lake Ontario as a powerful storm system moved through the region. 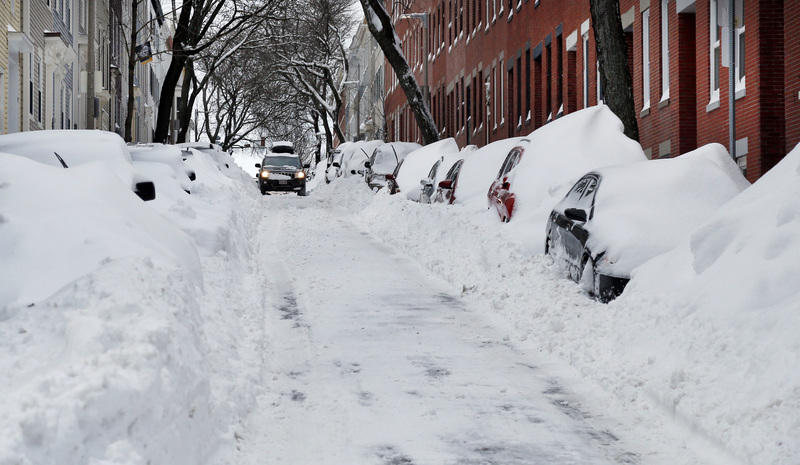 The Buffalo metro area was buried under as much as 65” of snow (5.4 feet). Nearby Bennington, New York recorded an astounding 88” (7.3 feet! ), with larger drifts. Some homes were buried up to the eaves. Many were trapped in their homes and had to literally dig their way out. The Buffalo Bills and other sports teams were forced to postpone games due to the storm and the Bills ended up having to play their next home game against the New York Jets in Detroit. Some players had to be dug out of their homes and retrieved by snowmobile. Later in November, yet another cold snap hit the northern Great Plains. The temperature in parts of Montana fell an astonishing 70F in a single 24 hour period. Eighteen states had one of their ten coldest Novembers on record and the lower 48 saw its greatest November snow coverage on record, with over 50% of the country blanketed. 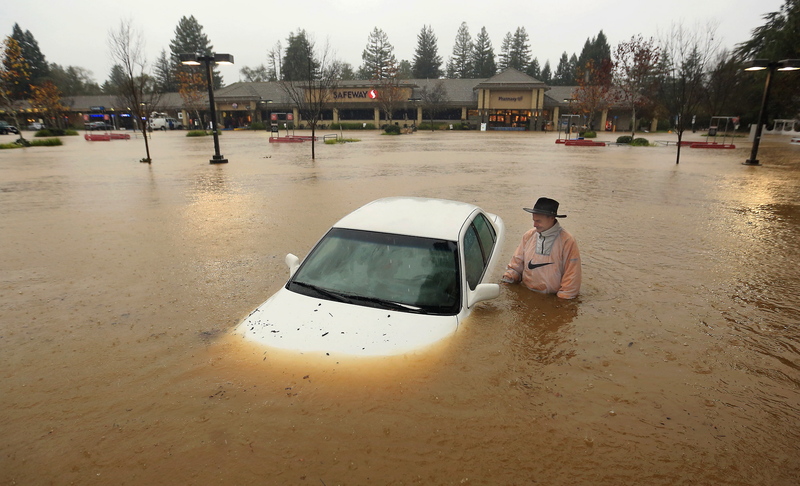 Widespread flooding in California was brought on by the Pacific “Pineapple Express” in December. December saw the return of more mild temperatures for much of the US, a welcome relief after a bitterly cold and snowy November. 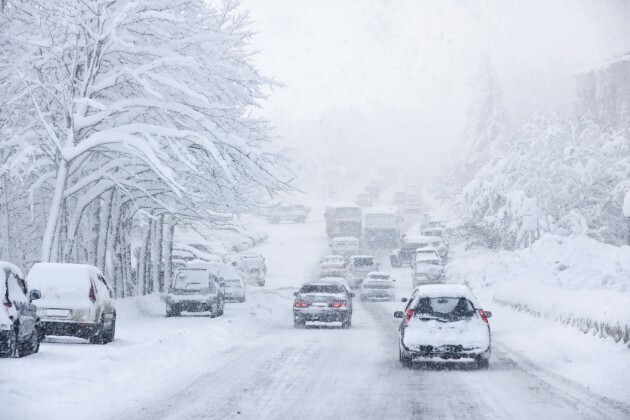 However, on December 10, a major storm system struck the West Coast, bringing heavy snow and blizzard conditions to the western mountain regions and flooding rains to the lower elevations. 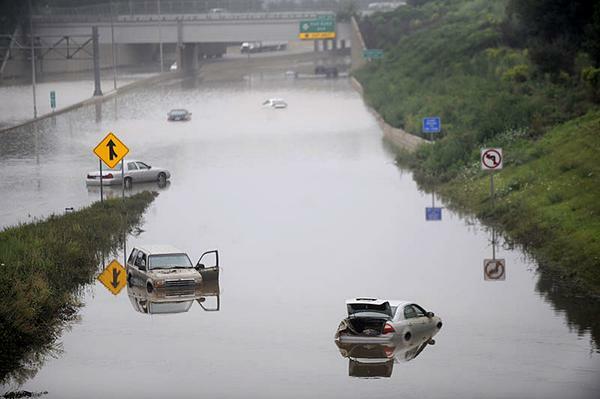 Portions of California had their heaviest rainfall in years, with up to eight inches reported in a 24 hour period. This storm system fueled the steady pipeline of moisture known as the Pineapple Express as a high pressure parked itself over the Aleutians. This kind of blocking pattern causes a dip and elongation of the jetstream as persistent low pressure systems develop on the backside of the high pressure and funnel a steady stream of moisture from the warmer waters southeast of Hawaii northward into California. This rainfall helped break a substantial drought that had mired portions of the western US, particularly California, for most of the year. The event finally subsided by December 21. Another smaller and shorter event struck over the Christmas holiday. All was quiet as the year came to a close, but what an eventful year it was. It’ll be interesting to see what 2015 has in store. It’s cold out there! Really cold. Yesterday morning was the coldest November morning in the lower 48 in 38 years. This marks the third major cold outbreak of the season thus far. The first occurred on Halloween. Chicago received it’s earliest snowfall since 1993 and parts of the Great Lakes region failed to get out of the 30’s. Meanwhile, an unprecedented snowfall struck the southern Appalachians. 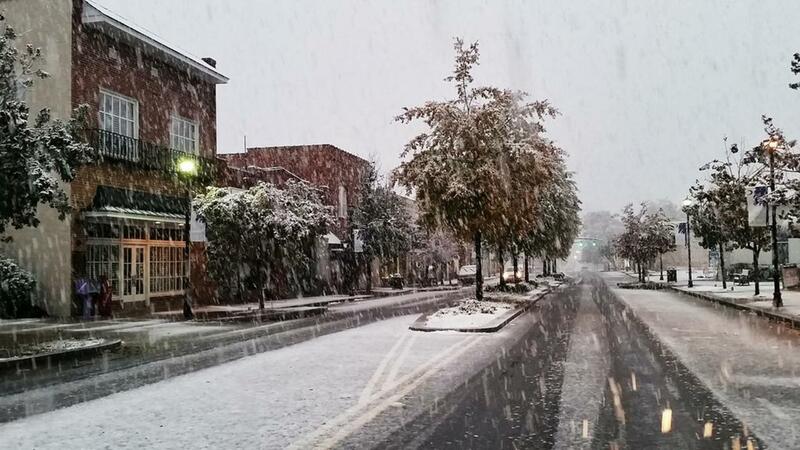 Asheville, North Carolina received five inches of snow on Halloween night. Asheville had never had any more than flurries on that date. Other areas of the Great Smoky Mountains received up to 22 inches. Parts of north Georgia received their earliest snowfall on record. 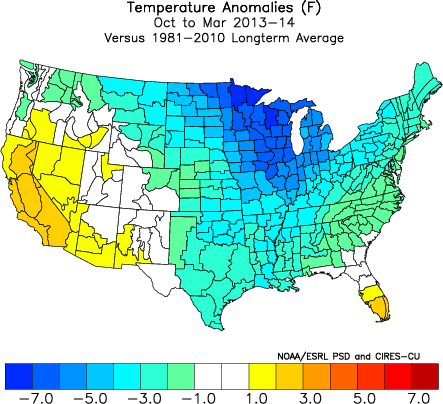 Temperatures across the eastern half of the US were, on average, 10-15 degrees below normal. 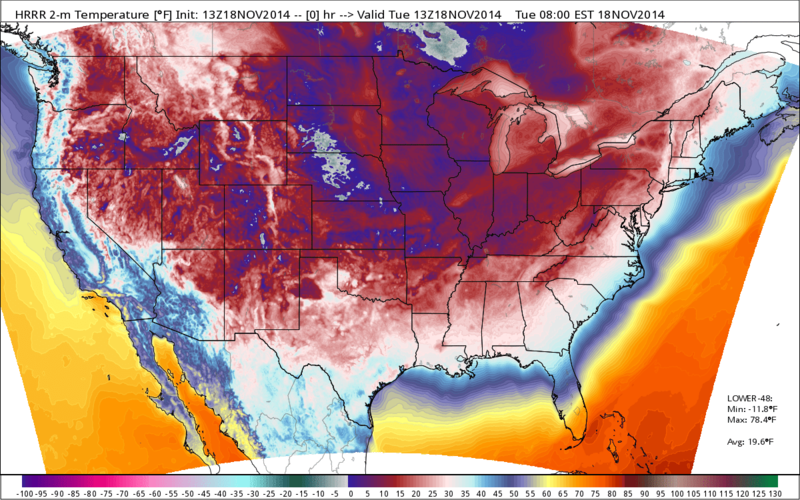 A map of near-surface temperatures at 8 am Eastern Time Tuesday morning. The second major cold snap began ten days later. The temperature in Omaha dropped 41 degrees in less than 24 hours, from 60F at 11:40 am on November 10 to 19F at 7:05 am on November 11. The high in Denver on November 12 was just 6F, the city’s coldest high for so early in the season. Only three other November days on record were colder in Denver. Amarillo, Lubbock, and Childress, Texas along with Goodland, Kansas all had record cold high temperatures that day. Casper, Wyoming plunged to -27F just before midnight and stayed there into the following morning. The city’s previous November record low was -21. Parts of the northern Great Plains barely reached 20 degrees and freezing temperatures reached as far south as the central Gulf Coast region. Some Minnesota ski resorts were able to open early thanks to the early season snowfall and persistent cold temperatures. Just a few days later, another blast of cold air surged into the lower 48. On Monday, the temperature in Kansas City failed to get above 23F, a new record; and Joplin, Missouri dipped to 6F the following morning, a record low for the month of November. Dallas saw highs of 45F or lower for five consecutive days, between November 12 and 17, for the first time ever. Yesterday morning, it reached -12F in Valentine, Nebraska; and 10F in Paducah, Kentucky…both records. 85% of the lower 48, encompassing roughly 226 million people, experienced freezing or sub-freezing temperatures yesterday. Portions of all 50 states reached or fell below the freezing mark. Temperatures east of the Rockies were as much as 40F below normal. Last night, temperatures dipped into the single digits in parts of the northern Great Lakes and fell into the twenties all the way to the northern Gulf Coast. Charlotte, North Carolina bottomed out at 14F, a record for so early in the season. Portions of central Alabama saw lows in the teens, setting new records. Meanwhile, a massive lake effect snow event slammed the eastern Great Lakes, particularly western New York. Buffalo was buried under an astonishing five plus feet of snow, trapping people in their homes and bringing a city accustomed to heavy snow to a screeching halt. While relief is now on the horizon and a warm up is expected by the end of the week, the way the season has gone so far does make you wonder how long it will last…and what January will look like. Huntsville, Alabama lies in the heart of “Dixie Alley,” a climatological tornado hotspot stretching from northern Louisiana to northwest Georgia. It is particularly profound between Monroe County, Mississippi and Huntsville’s Madison County, Alabama. Despite this, the city had largely escaped the appalling devastation that had been wrought on areas to the west and south, including the city of Birmingham, throughout the 20th Century. The week before Christmas in 1967, an F2 struck just east of downtown, causing extensive damage and killing two. On November 27, 1973, an F3 caused major damage to the airport, where the National Weather Service office lost its roof, and a nearby trailer park. 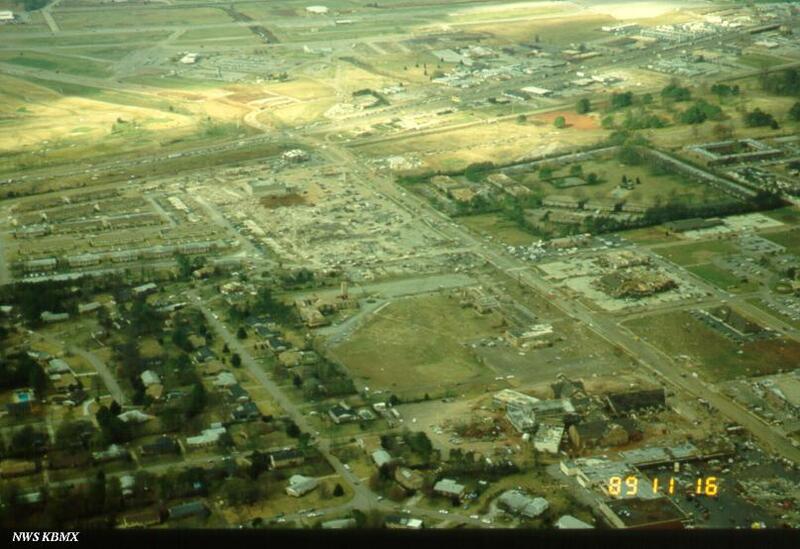 On April 1, 1974, two days before the Super Outbreak, an F3 hit just west of downtown and wrecked several homes. Late during the Super Outbreak itself, another F3 hit the Redstone Arsenal and neighborhoods south of downtown. Just three people were killed in those four tornadoes combined. 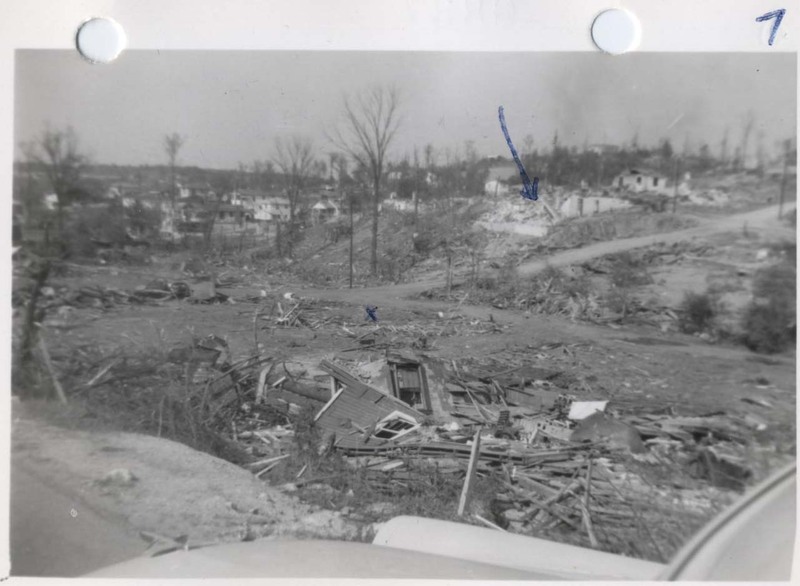 The lone exception was way back in 1920, when an F4 devastated the town of Lily Flagg, seven miles SE of the city, now part of Huntsville’s southern suburbs, during the disastrous outbreak of April 20. Twenty-seven people were killed. Sixty-nine years later, another devastating F4 struck just two miles to the north. It was a mild but humid fall day in northern Alabama. Headlines rang of the sweeping tide of freedom in Europe. The Berlin Wall had fallen just six days earlier and the Cold War’s thaw had shifted to a full melt. A strong cold front was digging into the Ohio and Tennessee River valleys and strong southerly winds were bringing in warm, moist air from the Gulf of Mexico. This abundant moisture combined with strong wind shear aloft resulted in very favorable conditions for severe weather. A view of the rain-wrapped tornado as it crossed Airport Road. As the afternoon progressed, the sky grew increasingly ominous and dark clouds began to gather. At around 2pm, a squall line began to develop over northeastern Mississippi and western Tennessee. Ahead of it, a handful of discrete cells began gathering strength. One of them was steaming straight for Huntsville. As it passed over the Redstone Arsenal at around 4:25pm, NASA meteorologists saw a low-hanging wall cloud within the thunderstorm and it had begun to rotate. The tornado touched down just a few minutes later and moved NE toward the southern suburbs of Huntsville, intensifying quickly. Meanwhile, the work day was coming to an end and people began spilling out onto the roads to head for home. Most of them had no idea that a massive tornado was just minutes away from them. The National Weather Service issued a tornado warning approximately five minutes after touchdown and media outlets quickly picked up the warnings, but for many it was too late. Even if they managed to hear the warnings over the radio, those in cars were stuck in rush hour traffic with nowhere to go. The storm roared across US-231 and into a densely populated business section as an F4 half a mile wide. Cars were thrown from the road as the tornado leveled several small retail complexes and the nearby Waterford Square apartments. Motorists trapped in rush hour traffic on Airport Road and Whitesburg Drive could only watch in horror as the tornado bore down on them, hurling more cars through the air, and smashing businesses and churches. Nineteen people died in just the one mile stretch between US-231 and Whitesburg along and south of Airport. Twelve of them were in cars, four at Waterford Square, and two in nearby businesses. From there, the tornado moved through a wooded section before striking Jones Valley Elementary School on Garth Road, where 37 children were attending after school daycare. The entire second floor where the children had been moments before was wrecked as they and five teachers huddled in a stairwell. No one at the school was seriously hurt, however a woman driving to the school along Garth Road was killed. 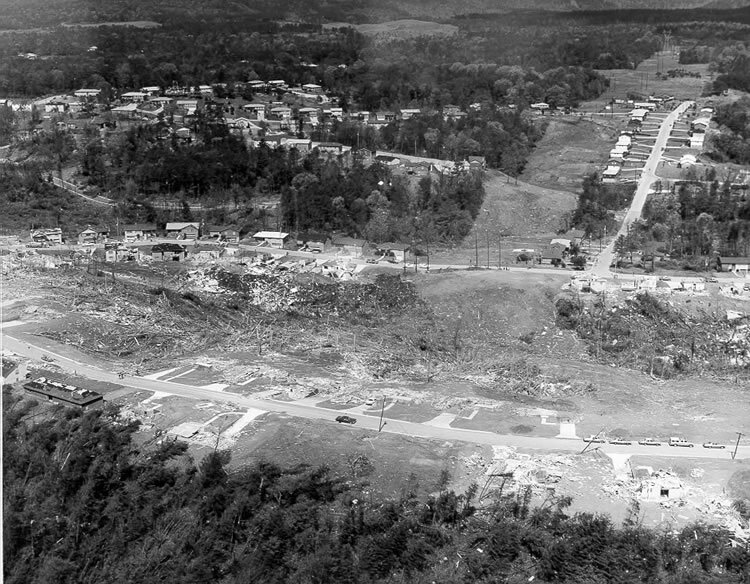 Numerous well-built suburban homes in the adjacent Jones Valley subdivision were destroyed and many more were severely damaged. Some homes were nearly swept away. The tornado continued northeast into more rural areas, destroying what little it encountered. It crossed US-431 near Dug Hill and US-72 southeast of Brownsboro as a somewhat weaker tornado (though it grew to nearly a mile wide near US-72), before finally lifting back into the clouds near the south shore of Smith Lake. It had travelled 18.5 miles. In all, 259 homes, 80 businesses, three churches, and two schools were destroyed. Nearly 300 other buildings were damaged, many of them severely. Twenty-one people died and 463 were injured. Property damage came to over $100 million. It was the worst tornado to strike the state of Alabama in the 1980’s.